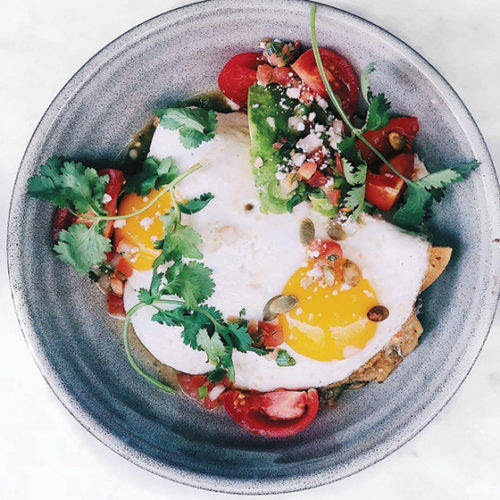 Order a quinoa breakfast burrito and a coffee at West Hollywood’s go-to neighborhood spot. Find a table or booth inside the beautiful, open-concept restaurant, or take a Greens and Protein smoothie and smashed avocado toast back to your office. The coffee menu includes cold brew, flat white and The Cleo, an espresso mixed with almond milk and hazelnut. Breakfast is served from 7 to 11 a.m. Bring your laptop and work with others at The Henry’s communal table or bar. Lunch service is from 11:30 a.m. to 3 p.m. 120 N. Robertson Blvd., (424)204-1595.